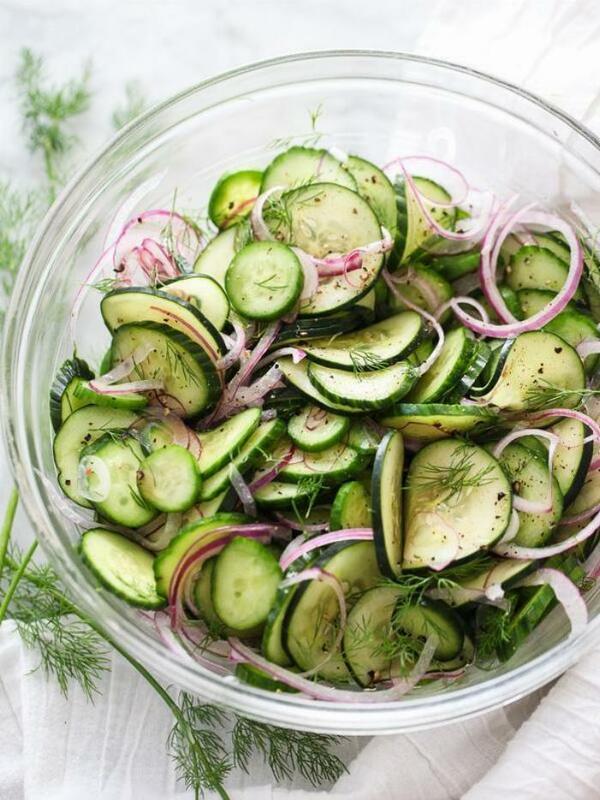 Slice the cucumbers into thin rounds. Thinly slice the red onion and chop the fresh dill. Mix cucumbers, onion, and salt in medium sized bowl. In a large bowl, combine the vinegar and sugar and stir well. Add the cucumber mixture and toss to coat. Stir in the dill. 1Slice the cucumbers into thin rounds. 2Thinly slice the red onion and chop the fresh dill. 3Mix cucumbers, onion, and salt in medium sized bowl. 4In a large bowl, combine the vinegar and sugar and stir well. Add the cucumber mixture and toss to coat. Stir in the dill.